While I’m currently gallivanting around Europe, I thought it might be apropos to provide another dose of packing advice. It is my travel mission to pack as light as possible (hello carry-on!) while still managing to look stylish. I look back at the photos from my 8-month back packing trip to Europe in 2005/2006 and I cringe at the outfits I put together. I wore a ski jacket in 80% of my photos and couldn’t have looked more like a tourist if I tried. Since then, I’ve learned that comfort and efficiency does not have to sacrifice style. With some strategic choices and some handy tools (read: packing cubes!) I am travelling in Europe for 2 weeks with less than 20 lbs on my back! 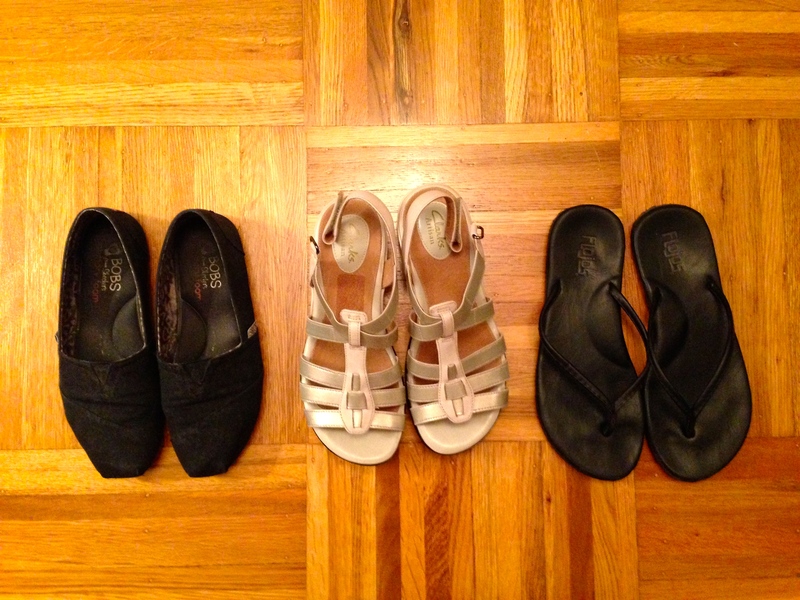 Three is the perfect number for travel shoes. 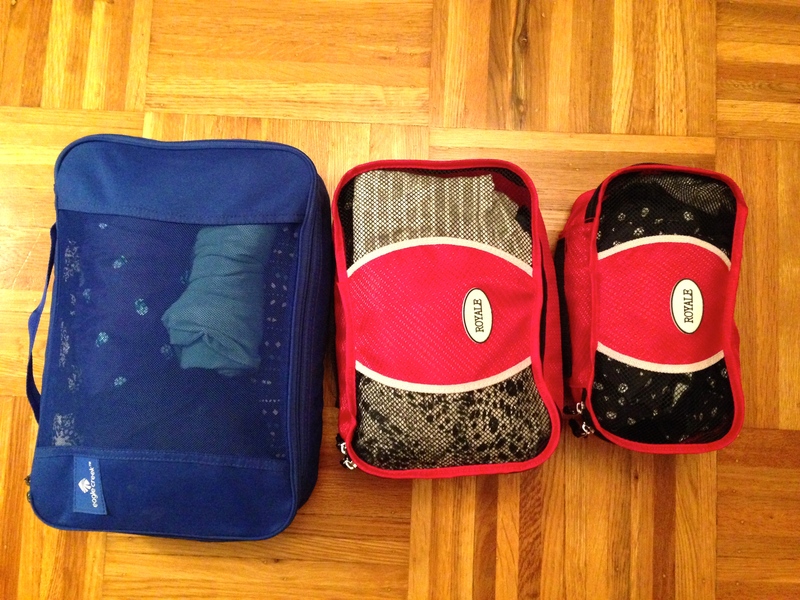 All of my clothing easily fits inside three small packing cubes. The larger blue one is for all of my bottoms and dresses, the medium red is for tops, and the small red is for underwear. These packing cubes make it insanely easy to pack and repack quickly when living out of a backpack. Read more about my packing cube obsession here. Cross-body Bag (Lug – Moped Day Pack) – The best travel day bag that I’ve found! This was my first time bringing only a carry-on to Europe. Do you find it difficult to travel light? This entry was posted in Asia, Europe, Greece, Packing, Travel Advice, Turkey and tagged Airplane, Backpacking, Carry On, Europe, Luggage, Minimalist, Packing, Packing Cubes, Packing List, Summer, Travel. Bookmark the permalink.